Butcher, K., and D. W. J. Gill. 1993. "The director, the dealer, the goddess and her champions: the acquisition of the Fitzwilliam goddess." American Journal of Archaeology 97: 383-401. Gill, D. W. J. 1999. "Winifred Lamb and the Fitzwilliam Museum." In Classics in 19th and 20th century Cambridge: curriculum, culture and community, edited by C. Stray, pp. 135-56. Cambridge Philological Society supplementary volume, vol. 24. Cambridge: Cambridge Philological Society. —. 2000. "‘A rich and promising site’: Winifred Lamb (1894–1963), Kusura and Anatolian archaeology." Anatolian Studies 50: 1-10. —. 2004. "Winifred Lamb (1894-1963)." In Breaking Ground: Pioneering women archaeologists, edited by G. Cohen and M. S. Joukowsky, pp. 425-81. Ann Arbor: University of Michigan Press. —. 2006. 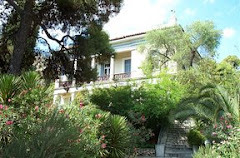 "Winifred Lamb: searching for prehistory in Greece." 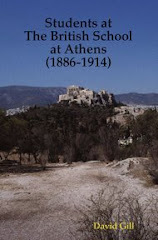 In Travellers to Greece, edited by C. Stray, pp. 33-53. London: Classical Association. —. 2007. 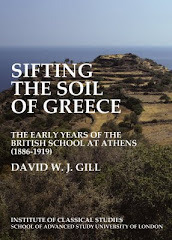 "Winifred Lamb: her first year as a student at the British School at Athens." In Archaeology and women: ancient and modern issues, edited by S. Hamilton, R. D. Whitehouse, and K. I. Wright, pp. 55-75. Walnut Creek (CA): Left Coast Press.